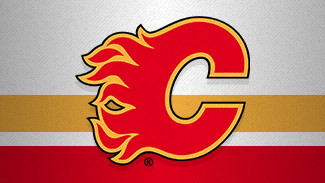 Though Calgary Flames general manager Jay Feaster has been at the helm for a short period of time, he is not eager to break up the team and start a rebuild, which has been a common refrain by some fans and observers for a few years now. With Scotiabank Saddledome always packed, and a not-quite-good-enough 118-90-38 mark over the past three playoff-free seasons, 2012-13 will be pivotal for the Flames organization. All of the team's key figures will feel the pressure to end the Stanley Cup Playoff drought and put off any thoughts of a roster makeover. There are aging players and large contracts to juggle, and the Flames also need to see if any prospects can contribute now and in the future. They also will find out if they simply had been lacking the right man behind the bench. New coach Bob Hartley's pressuring style, and a clean slate for the returning players, are cause for optimism, and the additions of Dennis Wideman, Jiri Hudler and Roman Cervenka might help the Flames improve on an offense that finished 24th and 29th in goals per game in two of the past three seasons. But will the changes be enough to stay afloat, much less thrive in the unforgiving Western Conference? 1. Can Bob Hartley get this group into the playoffs? 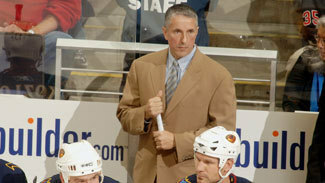 The former Avalanche bench boss has not coached in the NHL since the first six games of the 2007-08 season with the Atlanta Thrashers (he's the only coach to get that franchise to the playoffs). Hartley inherits a team that played a grinding style of hockey under Brent Sutter, and one not rife with the immediate talent to fuel the up-tempo style he wants. But Hartley's knack for communicating and his success at multiple levels is what Feaster is banking on. The two won a Calder Cup in 1997 when they teamed as coach and GM for the Hershey Bears when the American Hockey League team was Colorado's main affiliate. Hartley then won a Stanley Cup with the Avalanche in 2001, which was Flames winger Alex Tanguay's finest season of four he played for Hartley. The two have remained in contact ever since. "He's demanding for all the right reasons," Tanguay told the Flames' website. "He wants everybody to play the way that he thinks they are capable of playing and playing attention to detail. He's a very, very good coach behind the bench. He knows the matchup he wants; he knows how much guys have played." Hartley's Avalanche teams had a similar mix of veteran core stars (Joe Sakic and Patrick Roy) and emerging young forwards (Tanguay and Milan Hejduk) that the coach blended into a contending squad. Calgary is hoping for similar results with a team built around veterans Jarome Iginla and Miikka Kiprusoff. An infusion of some youth to the forward lines, and the addition of Wideman to the defense, can work in the Flames' favor. Two players they want to see Hartley get more out of are young forward Mikael Backlund and defenseman Jay Bouwmeester (five goals, 24 assists, minus-21 in 82 games last season). The fiery Hartley likely will not be happy just to make the playoffs, nor bow out in the first round. With the Minnesota Wild and Edmonton Oilers set to improve dramatically, and a perennial Presidents' Trophy contender, the Vancouver Canucks, in the mix, Hartley will have to get the Flames out of the gate quickly in order to stay near the top of the Northwest Division and in the playoff hunt. Any success the Flames have, though, likely will start and end with captain Iginla, who said he is looking forward to working with his new coach. "His reputation and accomplishments are very impressive," Calgary's all-time leading scorer said on the team's website. "He has had success at every level. I've also heard good things about him from other players. I have heard he is a very detailed and passionate coach, and from our initial conversation, I'm looking forward to learning from him and getting better as a team." 2. Who is the No. 1 center? With respect to recent top-line pivots Craig Conroy and Daymond Langkow, this role continues to be one that hasn't been filled by a premium player for years in Calgary. Feaster acknowledged Mike Cammalleri, who normally plays left wing, played center last season because the team had to put him there. It may have to happen again. Olli Jokinen is gone, but the Flames have another option to try between Tanguay and Iginla: Roman Cervenka, imported from the Kontinental Hockey League. Also on hand via free agency is 25-goal scorer Jiri Hudler, who effectively replaces Jokinen and has played center before. It is more likely Hudler skates on the wing of compatriot Cervenka on the second line to help the latter adjust to the North American game. It is clear, though, that Cervenka is expected to produce. "What is important to me is that they want me to play a lot and they are going to give me a chance in their top two lines," Cervenka told NHL.com's Michael Langr. "That is what I need in order to use my creativity and break through in the NHL." Matt Stajan played top-line minutes for the Toronto Maple Leafs, but has just 65 points in 164 games with the Flames. A fresh start under Hartley may jumpstart Stajan into producing more, especially with young playmakers including Max Reinhart not far from vying for spots with the big club. Then there is 2007 first-round pick Backlund, who took a pay cut signing a one-year contract following an injury-plagued 2011-12 that saw him score 11 points in 41 games. His struggles were evident enough that Calgary considered transferring him to Abbotsford, though injuries necessitated him staying in the NHL. Feaster has high hopes that under Hartley, Backlund can step up as the team envisioned when the Sweden native was placed between Tanguay and Iginla to start training camp last season. "Mikael needs to work on his consistency and his focus in order to break through in a top-six role and start to define his role on our team," Feaster said on the team's website. "[Backlund] is a guy who has a lot of work to do." Should any of Cervenka, Stajan or Backlund not seize the top-line center role in training camp, it would be no surprise if Cammalleri reprises his role as the top pivot from last season. 3. Will Jay Bouwmeester be rejuvenated with a new coach, or is he on his way out? "We think with the up-tempo style that [coach] Bob [Hartley] wants to play that [Dennis Wideman] can be up the ice, he can be involved in the offense and still do a good job in the neutral zone," Feaster said. "I think the fans will see us playing a different style of hockey, and I think Dennis will fit into that nicely." Perhaps the same terms can be applied to Bouwmeester, whose smooth skating and offensive abilities may stand out more in Hartley's go-go game than Sutter's gritty one. Bouwmeester carries a hefty contract and has not cracked 30 points in three seasons with the Flames. Still, the minutes-munching defenseman might attract trade offers from teams with salary-cap space and in dire need of his skill set, as some pundits have reported. Some pressure might be off the 28-year-old with the arrival of Wideman, but it will be interesting to see how Hartley approaches the team's No. 1 defenseman. If he returns to anywhere near the 15-goal plateau he reached twice in his days with the Florida Panthers, while reversing his minus-21 from 2011-12, it would be a huge bonus for the Flames. 4. What about contributions from the kids? Sooner or later, there will be an influx of recently drafted talent performing regularly at Scotiabank Saddledome. There are a number of prospects still in college who need seasoning, but Sven Baertschi has a great chance to make the team, with precious few spots after that. The Flames lost 382 man-games to injury last season, and the Abbotsford express ran nearly daily for frequent call-ups Paul Byron, Brett Carson and Roman Horak. This season, though, the Flames at some points will want to see what they have on their farm ready to contribute, especially if the team does not perform for Hartley. Akim Aliu is a reclamation project who impressed in two NHL games and could inject skill, toughness and a scoring touch. Recent picks Max Reinhart and Greg Nemisz will be knocking on the door. 5. Can someone be a hero past regulation time? Quick, name the only two players to score an overtime winner for the Flames last season? It may be less shocking to hear role players Blair Jones and Matt Stajan performed the feat than the fact Calgary had two wins in the extra five minutes all season long. With the two-time Presidents' Trophy-winning Canucks in the division to chase, the Flames simply cannot afford to miss out so consistently on gaining an extra point for an overtime or shootout win. Tack on three shootout victories, and that is a total of five wins past regulation against 16 combined OT/SO losses. Improvement from Kiprusoff in the shootout would be welcome for sure, given his .625 save percentage (15 goals allowed on 40 shots against) was 35th in the League, which is unexpected from a goaltender with seven straight seasons of at least 35 victories. Kiprusoff is the active all-time leader with 35 shootout losses. If anyone can help the Flames turn more one-point losses into two-point victories, it needs to be the 35-year-old workhorse. 6. Would the Flames really consider dealing Jarome Iginla and/or Miikka Kiprusoff to begin a roster retool? Iginla, who has 11 straight seasons of at least 30 goals, is an unrestricted free agent after the upcoming season, and Kirprusoff will be unrestricted after 2013-14. Should Calgary fade from the playoff picture come February, it would be awfully tempting for Feaster to try to deal either player for inexpensive young talent who can deepen the lineup and relieve salary. Iginla has a no-trade clause, while Kiprusoff's ran out after this past season. Both players are popular and hold multiple franchise records, but save for their 2004 Stanley Cup Final berth, the Flames have missed the playoffs 10 times and lost four first-round series since Iginla's rookie season in 1996-97. Feaster has publicly pledged he will not break up the team, and showed in his tenure as GM of the Tampa Bay Lightning he won't trade a star player (Vincent Lecavalier) because pundits say he should. But Feaster has declined to discuss re-signing Iginla, preferring to keep that discussion in-house. It's hard to imagine the Flames' all-time leading scorer in another sweater, unless the team and contract negotiations falter. Kirprusoff is a somewhat different story. With a tepid market for goaltenders, and one year remaining on his deal, a reliable, often flashy former Vezina Trophy winner can still fetch pieces who could strengthen the Flames' growing young talent stock should Feaster consider a new direction.